Editor’s note: Fr. Bill Pomerleau was recently on a “working vacation” in East Africa, where he is reporting on places and people with ties to the Diocese of Springfield. A few years ago, the Katoosa Catholic Parish here participated in a local pastoral planning process. 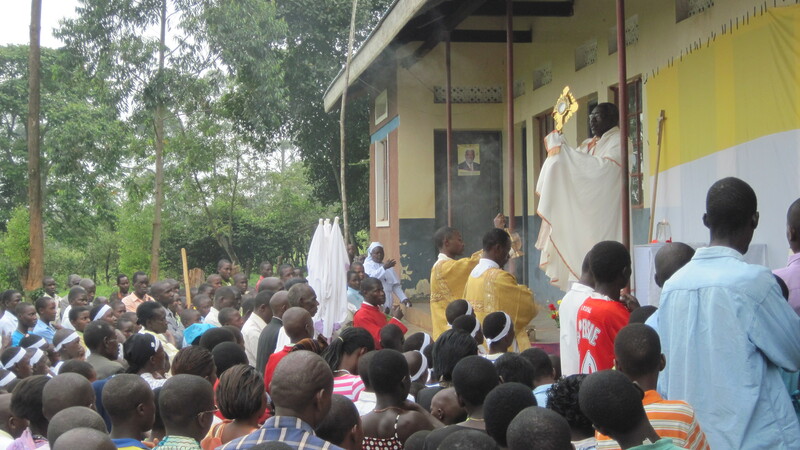 When the consultations were over, the Diocese of Fort Portal decided that the parish would include 46, rather than 63, mission stations. 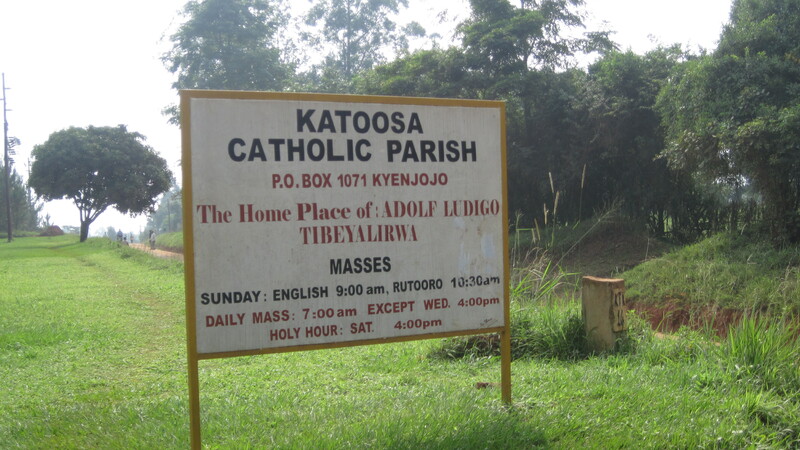 The Katoosa parish (known by the village in which it is located, rather than by its patron saint), has a structure common to most of rural Africa. The main parish church, which is off the main road between the Ugandan capital of Kampala and the western city of Fort Portal, usually schedules two Sunday Masses: one in the Rutooro language of the predominant local Tooro ethnic group, and another in English for the convenience of parishioners of other ethnic groups. Most Sundays, the parish’s two priests each celebrate Sunday Mass at one of the parish’s eight “sub parishes,” or mission churches. On weekdays, the priests hear confessions and celebrate the liturgy at “stations,” or chapels where Sunday Mass is celebrated a few days after the Lord’s Day. Under the system, most parishioners are able to attend Mass once a month. Catechists, trained lay ministers who perform many of the duties of permanent deacons or professional lay ministers in the United States, lead Eucharistic services in the sub parishes and their affiliated stations the other three weeks of the month. “Is it true that everybody who works in a parish in America is paid?” asked Francis Akiiki, transitional deacon from Katoosa who was scheduled to be ordained a priest in August. I explained that secretaries, organists and some directors of religious education are commonly paid positions in U.S. parishes. On the other hand, larger African parishes commonly have modestly paid cooks, cleaners and gatekeepers. Because last Sunday was the Feast of Corpus Christi, the Katoosa Parish celebrated a single Sunday liturgy, with a Eucharistic procession around the parish grounds after Mass. With three priests, two deacons and eight alb-clad catechists surrounding the altar, the liturgy had a particularly festive air. 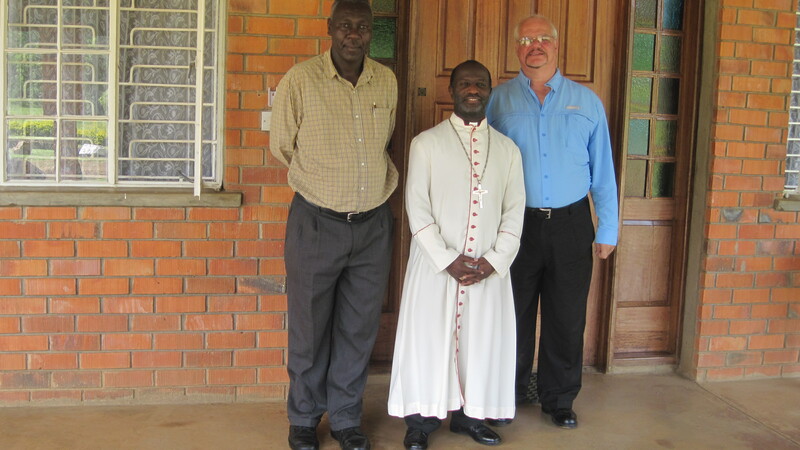 On Monday, I traveled to Fort Portal to meet with Bishop Robert Muhiirwa , the diocesan ordinary of Father Adolph Busubozi, a chaplain at Baystate Medical Center and Father John Tibakinirwa, a former hospital chaplain Springfield now ministering in Boston. Bishop Muhiirwa’s sprawling residence and office, on a separate property from Fort Portal’s cathedral and chancery, houses ten people. With plenty of vocations, the diocese has assigned a relatively large percentage of its priests to diocesan ministry. 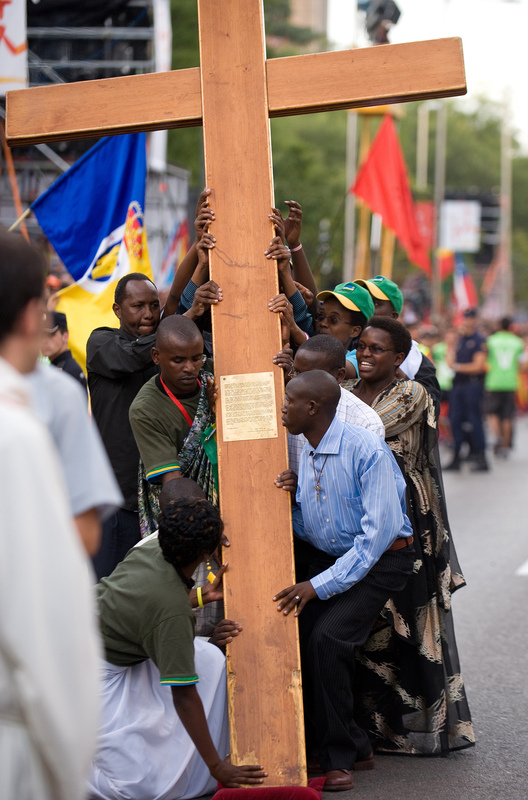 Support for priests working in charitable, educational or similar ministries on the diocesan level sometimes comes from government funding of foreign donors. Parish priests receive no set salaries, and are dependent on modest gifts from parishioners or family resources. 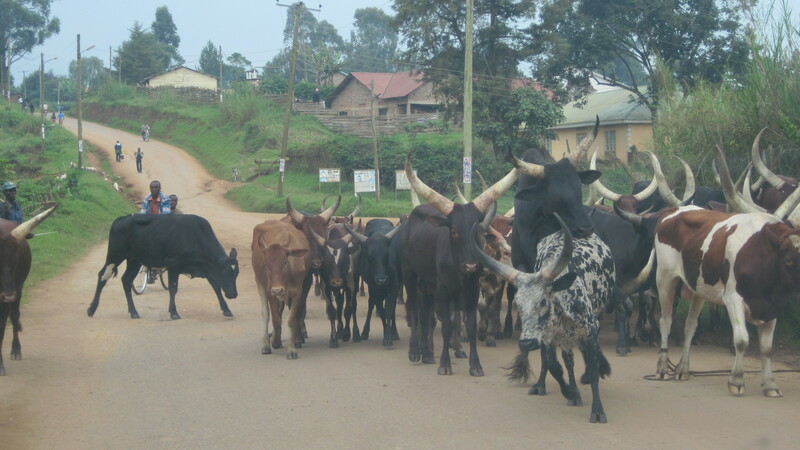 Money is the reason why Fort Portal is only slowly, if steadily, divided its vast rural parishes in more pastorally manageable sizes. 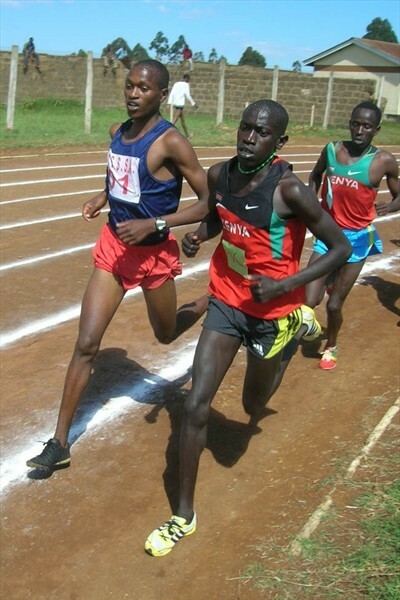 Most Americans, if they have heard of Eldoret at all, know it as the training center for the long-distance Kenyan runners who frequently win the Boston Marathon and other major road races. That is fine with local Catholics here, who hope to put Eldoret’s other recent place in the news behind them. 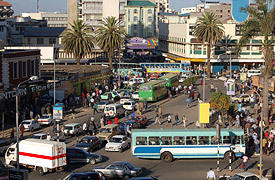 In January 2008, city was the scene of major ethnic tensions following a disputed presidential and parliamentary election. 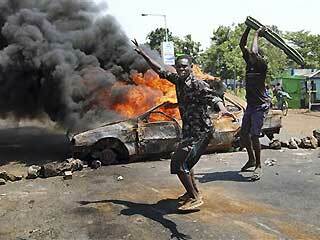 Provoked by local politicians exploiting long-simmering tensions, some member of majority Kalejin ethnic groups attacked the city’s Kikuyus, who are Kenya’s largest ethnic group but a minority here. Unlike inRwandain 1994, when some Hutu clergy actively participated in the ethnic genocide against their Tutsi parishioners, the predominantly Kalenjin priests and bishop here quickly mobilized to protect and aid their fellow citizens. 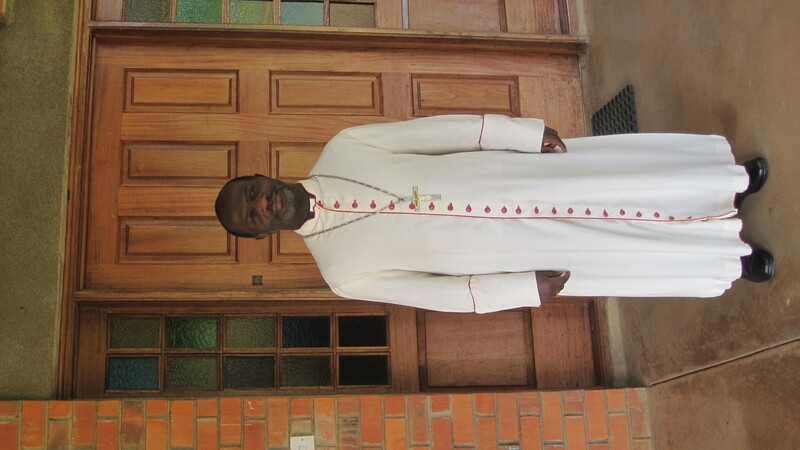 “At one point there might have been 8,000 people here,” said Eldoret Bishop Cornelius Arap Korir, giving me a tour of the walled cathedral and chancery compound that seemed smaller than the campus of Springfield’s Cathedral High School. “Our chapel became a dispensary which treated 200 people a day,” he noted. 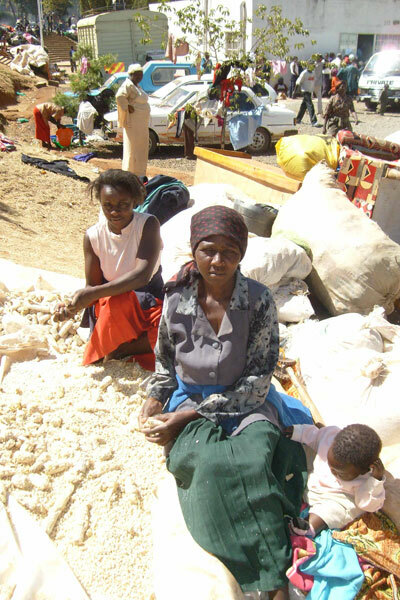 Thanks to quick relief supplies from Kenyan and international aid organizations, the Eldoret Diocese was able to shelter diplaced Kikuyus, and prevent a re-occurrence of what happened in an Assemblies of God church in town, where 30 people were burned alive in ethnic violence. Yet lower-level violence in the form of ordinary street crime, and crimes which may have their origins in local politics, continue to haunt this part ofKenya’s Rift Valley region. The bishop and I discussed the unsolved 2006 murder of Father Jude Kibor, who was a graduate student at Springfield College and helped with sacramental ministry in the Diocese of Springfield from 1990 to 1992. In a 1991 interview with The Catholic Observer, Father Kibor said that unlike Uganda, Ethiopia and Somalia, Kenya was largely free of famine and bloody tribal conflict. But he warned that foreign debt, poor harvests and international trade developments were hurting his nation’s economy. Some former parishioners of the priest told me at the time that he was killed by those upset that he was preaching against government corruption. Bishop Korir was more cautious in opinion about the murder. “It could have been a personal dispute about property Father owned, or it could have been arranged by a prisoner who had become his enemy. Whenever he met with me, he would always say exactly what he thought,” the bishop said cautiously. “I keep asking the authorities if they have new information about the crime, but they tell me there is no new information,” the bishop said. 2006 to 2008 was a particularly difficult period for the Kenyan church, with various priests and a bishop killed in murky circumstances. Bishop Korir told me that most of the murdered priests were probably victims of street crime, but his fellow Bishop, Luigi Locati of the Isiolo Diocese was probably murdered by one of his own priests. “The priest was a convert from Islam before he was ordained. Maybe he was still an angry Muslim in his heart,” the bishop said with a sigh. The grounds of Sacred Heart Cathedral, a modern structure designed by an Irish architect in 1968, are pleasant and peaceful. The bishops showed me the daily Mass chapel, which is being converted into an adoration chapel. “Too many people come to daily Mass now. 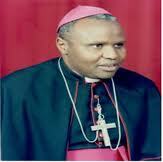 We have to have the liturgy in the main cathedral,” Bishop Korir explained. breakfast and start two loads of laundry. of clothing I brought home went to the washing machine. But I am way ahead of myself. 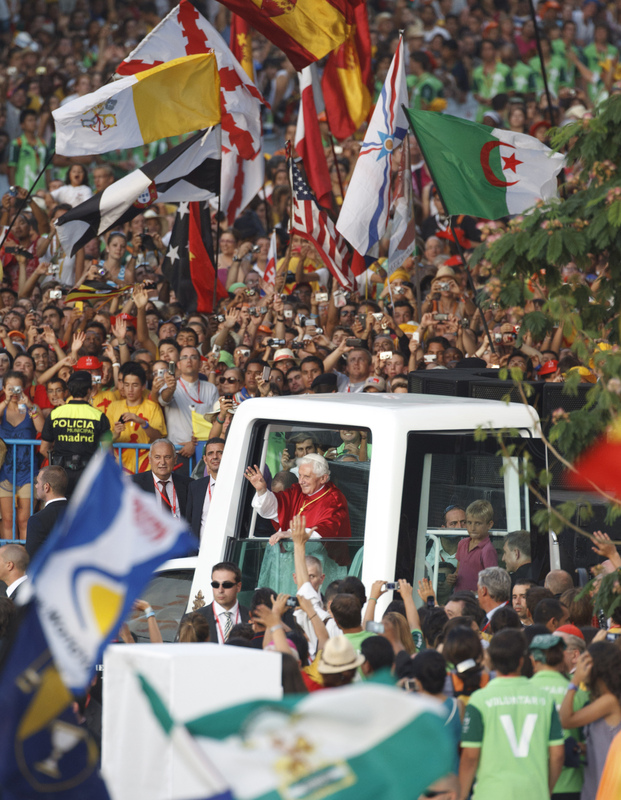 youth, so I wanted to hand friends, family and parishioners over to Mary. the city. 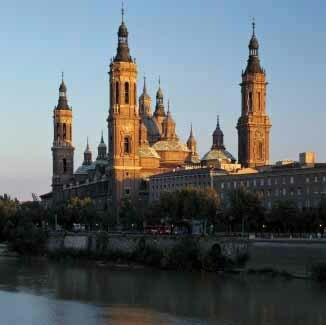 Zaragoza was founded by Caesar Augustus (it was originally called Caesaraugusta and over the years that has morphed into Zaragoza. 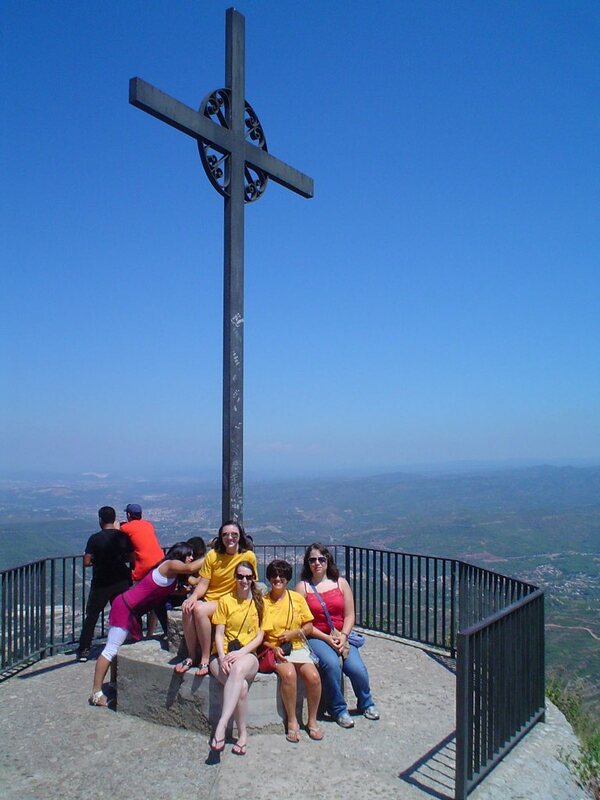 … say it with the Castillian lisp and you will understand) in 25 BC on the banks of the largest river in Spain (the Ebro). It is an amazing mix of Roman, Muslim, Jewish, Renaissance and Spanish influences. 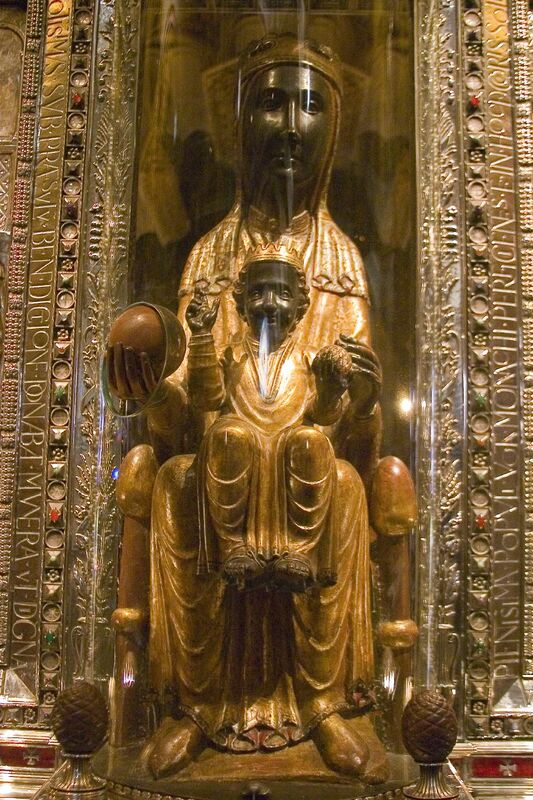 Zaragoza themselves. 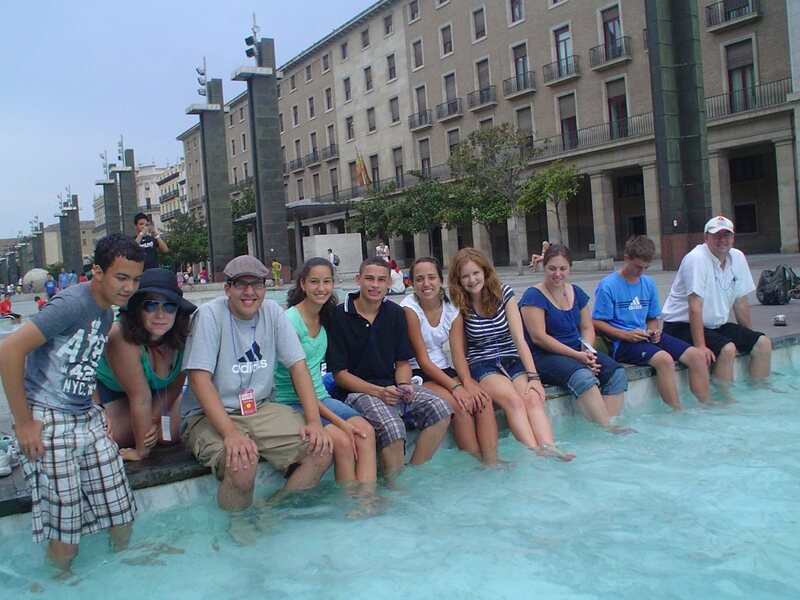 The youth there were so excited to be with us.Even in Madrid I continued to get texts from those we met in Zaragoza. in our bathing suits, sharing small bathrooms with the other several hundred pilgrims from France, Italy, Brazil, the Philippines, Michigan and Canada.) Our males shared the room with 6 youth and chaperones. Vancouver … I didn’t wear my Bruins shirt out of Christian charity). 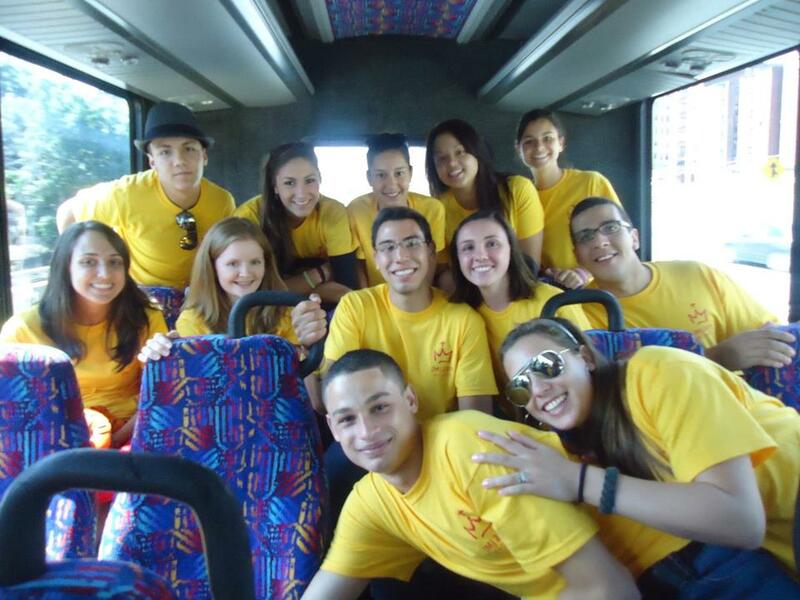 The days were filled with Catechesis (the best was Archbishop Timothy Dolan from New York) and youth festivals. 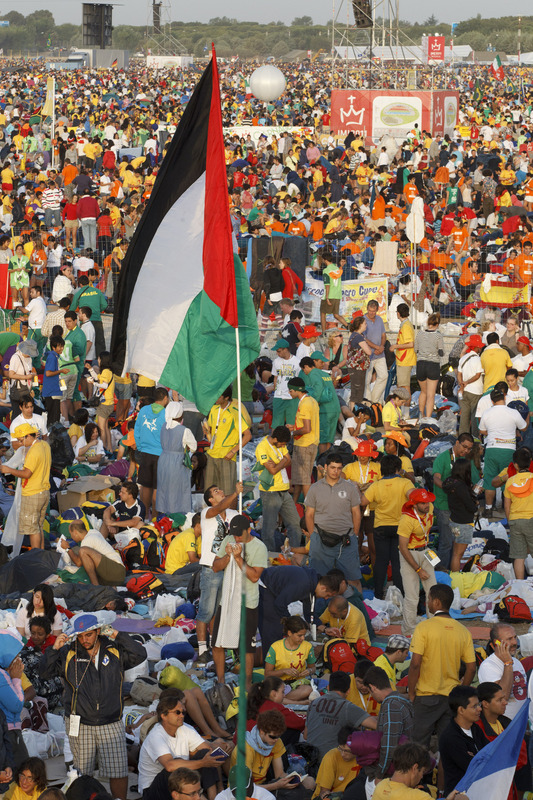 Imagine walking through a park the size of Central Park in New York City with thousands upon thousands of fellow pilgrims from around the world. It’s a festival just to be part of the moment. There were concerts and we encountered Tony Melendez at a church and he invited us to a concert not even listed on the schedule … along with 12,000 others. The night was amazing! 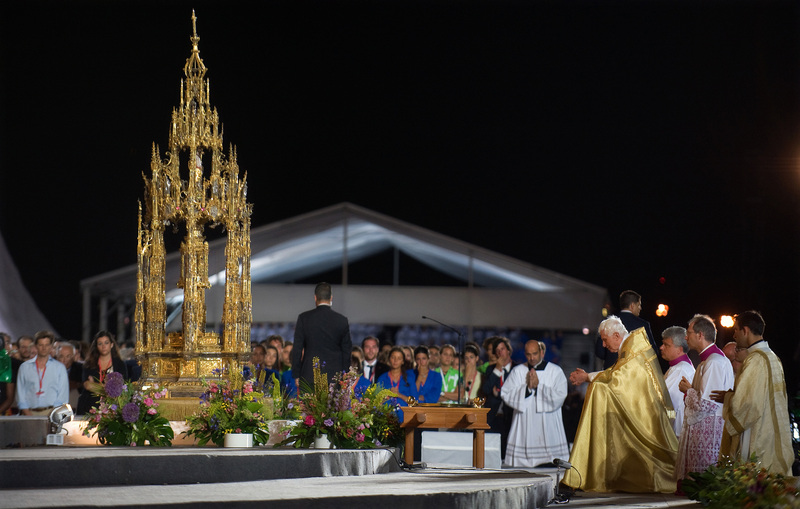 This was followed by the opening Mass with the Cardinal of Madrid, the Papal welcome on Thursday and the Stations of the Cross on Friday. It was the Stations that proved to be a special moment of grace. the front of our section near the metal barricades (which became essential first for attaching our overhead tarps for shade and later for shelter when the storms rolled in). It was a brutal day of intense heat. We had some experience by then, but nothing could have really prepared us for the heat and the blinding sun and the crowds. As the sun set we were ready for a beautiful evening of prayer and adoration. after strike, over a field filled with a million people was frightening. 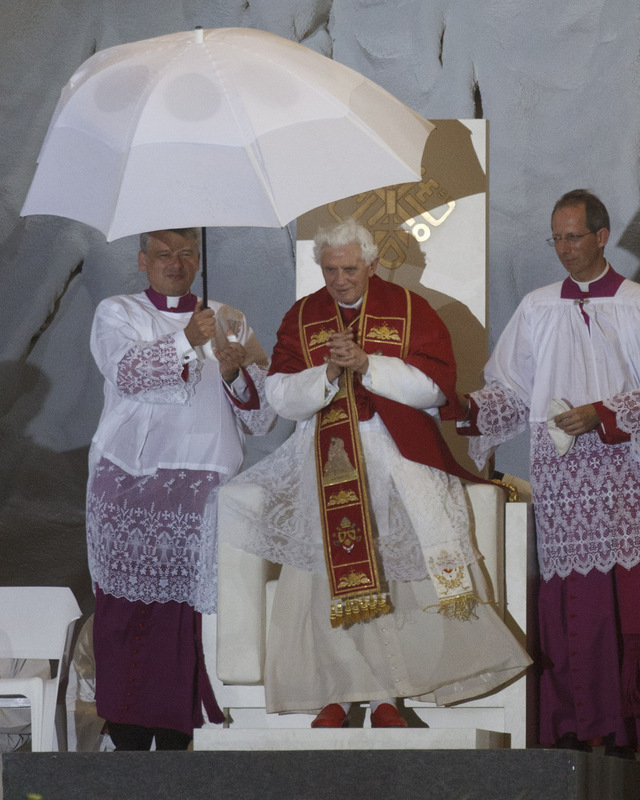 Through it all the Pope braved on under umbrellas with no sound we could hear until time came for Adoration. adoration and devotion. It was powerful. 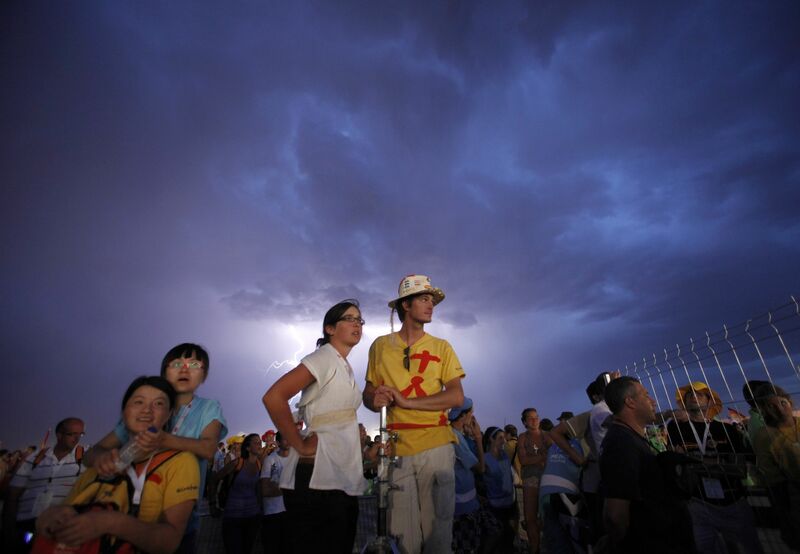 As the Pope gave us his final blessing the rains stopped and we knew we had to prepare for the night. It was the most amazing tent I’ve ever erected. We made it out of tarps and twine and twist ties. 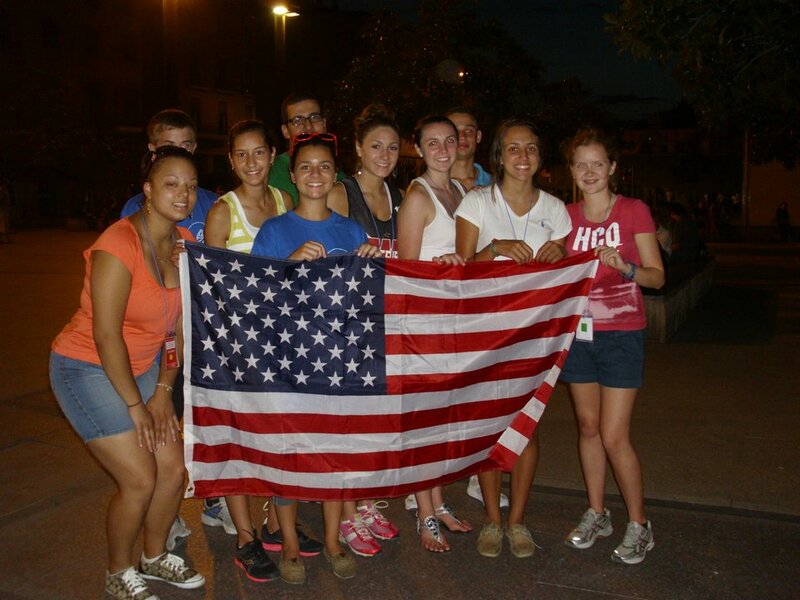 We shared it with a Polish group to our right. The center pole collapsed on me twice in the night, but the tent kept us dry for the morning Mass with the Pope. It was a Mass which lifted each of us up in Word and Sacrament, a Mass in which we prayed for all our loved ones back home, a Mass that ended with Papal Blessing, a prayer to Mary and an invitation join again in Rio de Janeiro, Brazil in 2013.
slept and showered and recuperated for the long flight home yesterday. Church that is one, holy, catholic and apostolic. As I finish this reflection I am reminded of the apostles who spent three years with Jesus and wrote Gospels that can be printed on a few pages of the Bible. The experiences that God led us through were more than my meager words can contain. They were powerful and life changing, they were terrible and even life threatening, they were majestic and extraordinarily human. 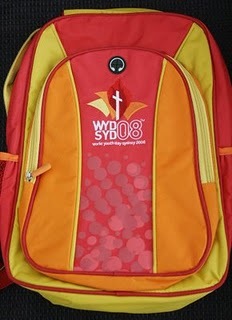 It was the World Youth Day. 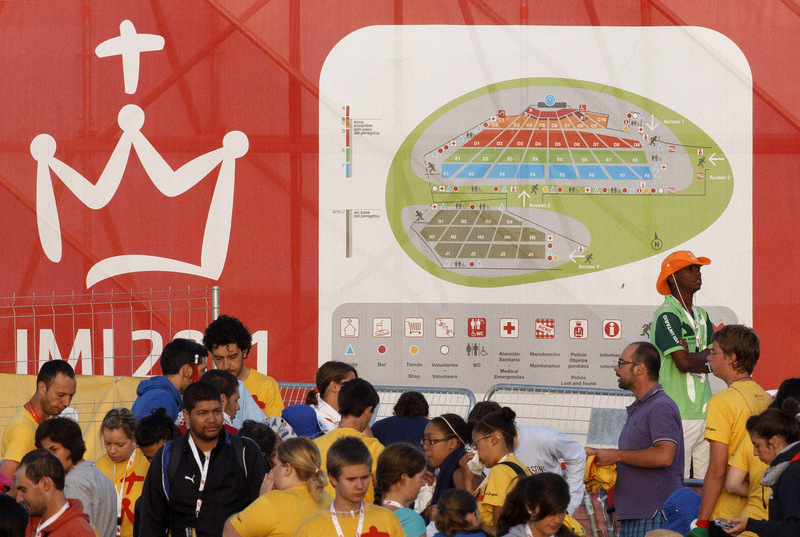 Over a million youth, one pope and God present through it all.